About the book: In the tumultuous journey of mortality, trials can seem both overwhelming and isolating. But it is in the darkest of moments that the light of Christ shines brightest, beckoning you to turn to Him. 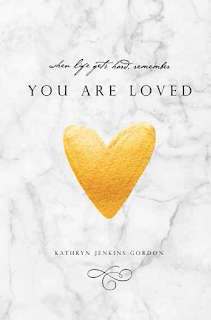 With words of reassurance, author Kathryn Jenkins Gordon acknowledges that tough times will surely come—but as you walk through hardships hand in hand with the Lord, there is hope for the future and opportunity for personal growth. Through discussion of sacred scripture and the inspired words of Church leaders, this volume addresses topics ranging from embracing the Atonement to believing your prayers will be answered to applying the miracle of forgiveness in your life. It is impossible to foresee what storms will come, but amid the uncertainty, some things are sure: you are known, you are never alone, and you are loved. My review: This book is full of great advice including many quotes from LDS Church general authorities conference talks. I really loved the way the author put them all together. She used comforting quotes from some of my favorite talks. I wished for more personal experiences from the author. She shared a few, but in the final chapter she does share a huge personal experience. I loved that she talks a bit about how she knows through this experience that she is loved and blessed. This book goes right along with what we've been teaching our Sunday School class this month about the blessings of obedience, even using some of the talks we've been teaching from. I love that Heavenly Father has provided a way for us to make mistakes and still be able to find a way back. I'm so grateful for that knowledge in my life. About the author: Kathryn Jenkins Gordon is the managing editor at Covenant Communications. She is a writer and editor who has worked for forty-three years in corporate and internal communications.